Security guards are hired for many reasons. However, it is very important that you look for a company that provides fully proficient guards. Generally it is believed that the company with a high turnover rate is not a good option to consider because constant turnover of security officers means that there is a high chance that a few or all the officers on duties are either inexperienced or new. It usually takes six month to train a security guard which means that a company with more new security officers is not reliable as their guards will not be able to detect an unusual activity due to their unfamiliarity with the site. Furthermore they will be less likely to make a good decision in case of any emergency. The security guard company is bound to take essential steps to retain their experienced security guards. However this is certainly not sufficient as there are a number of things that the client company should do to improve security guard retention. Both the client and the company has to work together to solve this problem. It is quite common to see people treating security guards as a second-class citizen at many sites. They are not only ignored by the company’s employees but at times insulted as well. It is the prime responsibility of the senior management of the client company to ensure that the security guard is treated with respect. They should make it clear that security guard-abuse will not be acceptable. The management level of the client company should introduce themselves to the guard and if possible try to remember their names as well. A simple ‘hello’ to a security guard by name can really create a good impact and will play an important role in improving working conditions for the security officer. Similarly, the person at the company who is responsible for handling security matters must personally welcome the new security officers on their first day. This should be done for all security guards including those who work at night and have shifts over the weekend. It is important that the client company provides a clear written job description to their security officers alone with the policies and procedures that they are bound to follow. Sufficient training should be provided to the security guards and this should be accompanied with the written instructions. Verbal instructions are important obviously but one can certainly not ignore the importance of written instructions. Similarly, security guards must never be asked by the employees of the client company to deviate from the written procedures without going through a proper channel. It is very important that the security guards at the client company receive appreciation of their hard work. Similarly they should be given support when the guard is following company’s policies and procedures even if it offends somebody. For instance, if the procedure demands that all visitors must sign in, the security guard must not be reprimanded when he asks the company president’s wife to follow the same procedure. If the written instructions are overridden by a set of unwritten rules, they tend to frustrate the security officers and therefore must be avoided to the maximum. In case there is a sound reason to have an exception to a specific rule, it would be documented and must be given to the security guard. Security guards who perform well must be acknowledged by the company. For instance, if a security guard notices a water leak in a room and reports to the management before it can cause damage; his efforts should be acknowledged and appreciated by the senior management. A simple note may seem meaningless in the beginning but it would certainly mean a great deal to the security guard. There are some companies who have initiated ‘Security Guard Of the Month’ program where guards who perform exceptionally well are officially recognized. The security guard who wins this award must be given a certificate or any other small gift that he can cherish for years. Many security guardhouses are cluttered places that have not been cleaned in years. Similarly, the patrol vehicles issued to the guards are often beaten up wrecks that are not reliable at all. Above all, the two way radios, flashlights and other equipment given to the guards are in poor condition as well and therefore not reliable. It is important to remember that security guards in Montreal can only perform best when they are given a healthy working environment with the best tools and equipment. If you expect him to work as a professional then you need to act as one as well. Although we regularly hear about violent deaths in schools, there is violence in almost all other areas of life. For example, a man who had been feuding with local officials in a certain town decided to walk to the local authorities offices with a gun and shooting most of the officials. He had been accused of zoning infractions and not heeding to sewer regulations in a dispute lasting slightly over 20 years. This could have been prevented if there was a security metal detector at the gates. And with the government now emphasizing the need to for stricter security measures in public places such as hotels, airports, government offices, shopping centers, etc, there is no questioning the fact that you need to acquire the best security metal detectors there is in the market. There are way too many options to select from when it comes to security metal detectors. As such, knowing the main features of reliable metal detectors is something of a paramount importance. Also referred to as portable metal detectors, handheld metal detectors are available in wide variety of styles. However, the best types in this regard are the ones that have an ergonomic design. Detectors that have offset hand grip are recommended as with these, the hands do not get in the way when inspecting a sensitive area. A quality detector also does not have sharp edges or corners that might get in the way as the security guard passes it over a specific spot. Simply put, the mechanical design of a portable metal detector has to be such that it doesn’t get in the way of buttons, buckles, folds and other articles of clothing. When searching for a portable metal detector, ensure to select a type that has uniform sensitivity for magnetic, non-magnetic targets and stainless steel targets. At the same time, the device needs to be tested for body compensation. Make certain that the device is not vulnerable to disturbances from electromagnetic and mechanical influences as these all might affect its accuracy. A portable metal detector naturally must have all the key functions the buyer is looking for and 100% digital. Only the buyer can decide what functions are required by his company, however, the device at least should have a magnetic field transmitter, receiver, a fully functioning digital operator interface, external communication interface and a USB port. Quality metal detectors don’t require to be calibrated. Make sure that the control panel is easy operate and switches easily identifiable, with proper warning lights. Apart from reliable performance and consistency, make sure to get a device that is not affected by indoor or outdoor usage. A handheld metal detector must have a long battery life for longer usage. The battery also needs to be rechargeable. It also requires different alarm indicators. If the device is for use in hotels or airports, the signal should either commensurate to the item being detected or be fixed. Although most portable metal detectors have a number of built-in indicators, the buyer may also opt for a vibrating type. Where walkthrough types of metal detectors are concerned, the buyer’s main consideration should be its detection capability. Superior walkthrough metal detectors have the capacity to detect mixed alloys, non-magnetic and magnetic alloys. The device also has to adhere to the highest standards in terms of weapon detection. Ease of use is also a must because a system that takes forever to install is quite useless. Security metal detectors must come equipped with technology that allows the user to determine the type and number of metal items that goes through his organization. While detecting metal is important, the device must able be able to differentiate metals and personal effects. Detectors which are unable to distinguish between personal effects and metals end up causing frustrations and delays for all concerned. To avoid this headache, make sure to test the system prior to deciding to purchase it. 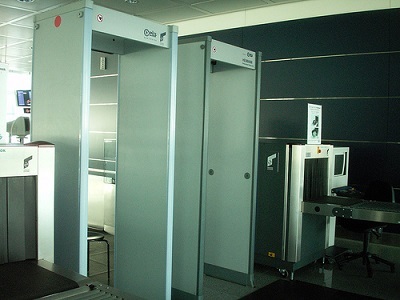 Quality metal detectors have the capacity to alert employees, security guards, and others concerned to potential weapons being smuggled into an establishment. The best way to avoid this unwanted eventuality is to prevent people from trying to sneak things that don’t belong. They are a perfect barrier between being alive and being dead. Today’s walkthrough metal detectors are easier to move around to different locations where meeting are being held. And although most of these meetings are small and uneventful, there are always those that come up every few years where it seems everyone in the town want to have a say. This poses a major security problem for the organizers. The best way to go around this issue is to install quality walkthrough metal detectors for enhanced security, fewer attempts at violence, and peace of mind for all. If your budget doesn’t allow this, why not try the handheld metal detectors for enhanced security in and around your establishment? If you are looking for security solutions in Montreal, do contact us to find out more. 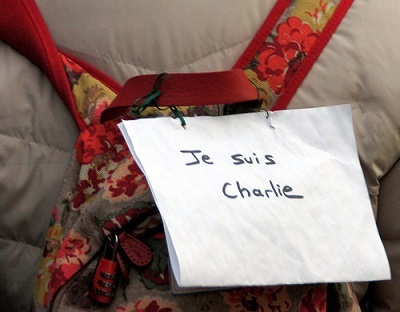 Corporate Leaders Should Learn From The Paris Attack Of Charlie Hebdo! Posted on: In: Blog | Comments Off on Corporate Leaders Should Learn From The Paris Attack Of Charlie Hebdo! Taking appropriate security measures to secure business entity offices, their top managers, employees and clients is vital and urgent than ever before. In fact, securing firms and their employees has turned into a global issue that need to be swiftly addressed and for a good reason. On 7th January, 2015, two terrorists armed with guns forcefully entered the office of Charlie Hebdo, (a French satirical magazine) and killed approximately 22 people and left more than ten others injured. Nobody has any ideas what kind of corporate security measures were in place to prevent attack such as this one from happening. Nevertheless, it is quite clear that the premises that housed the media company and its staff were ill prepared for an attack of this magnitude. Security experts concur that proper safety measures could have prevented this kind of an attack from happening. Simply put, putting in place proper security measures could prevent a similar attack from occurring elsewhere. More often than not, proper security measures are overlooked or totally ignored by a number of companies. Corporate managers are more concerned on making profits, or operating the business, or even improving the revenue streams. And because the management is normally in the business of perceiving threats, they are ill-prepared when the worst happens. In fact, they do not how to prepare for these kinds of eventualities. In the light of the very unfortunate incident that involves the Charlie Hebdo carnage, companies must reorganize staff safety and invest in having their security evaluated by highly trained and experienced security experts. These professionals are able to carefully scrutinize a firm’s current security needs. When they identify potential security threats, they are able to offer real and working solutions. A professional and experienced security consultant in Montreal has the capacity to carry out a successful risk assessment of a client’s facility and offer thorough and well thought recommendations. These kinds of security professionals specialize in nuances that are associated with safe keeping in different locations around the country. Here are some of the services that are offered by well trained and experienced corporate security professionals. Most companies host events and parties for their staff members or clients at least a couple of times in a given year. These events and celebrations can be a serious security challenge today. This being the case, it is critical to have the right security professionals to evaluate the venue before the event. These experts are then able to identify potential threats or security risks and know how to do way with them. During the events, the experts are able to monitor the attendees. Checking the tickets and identification in this case is something of a paramount importance. These all helps to prevent theft and trespassing. Reliable security personnel are aware that it is better to be safe than sorry and hence are keen to do what is right so as to keep the event safe. Safety is the number one priority for top security experts. If any staff member gets injured, the security officer in charge is able to quickly call for medical assistance. Apart from this, security experts are able to swiftly direct the medical personnel towards the injured staff member. Although the party is for staff members or even held to honor the clients, arguments and fights can occur due to one reason or another. Professional security experts are able to keep the situation from escalating. With their help, these poisonous incidents are quickly defused resulting to more relaxed atmosphere and patrons during the event. Quite a number of firms have restructured in the past. With these, some affect employees and past employees have been known to shoot people at their workplace as a way of showing their disapproval. This is a reality that all managers and employees at a business entity must face. In situations such as these, it crucial to use experienced and well trained security experts and who knows and understand how to work with the local law enforcement and firm’s legal team to defuse tension. No staff member likes to think that he or she needs to be protected by a bodyguard. However, in the corporate world of today, being protected by a bodyguard is a real possibility. What with all the threats from misfits such as terrorists? Many are times that staffers are required to transport items of tremendous value. All over the world, top-level management staff members such as executives have received all sorts of personal threats. The best way to keep safe is to have a bodyguard around them 24 hours a day. Most of the bodyguards are former police officers, military personnel, and other law enforcement personnel that have special training during their career. As such, they know how to instantly identify a threat and immediately address it.